Relocating to Kansas City - The Wilderness is one of the local favorite neighborhoods in Southern Johnson County KS. 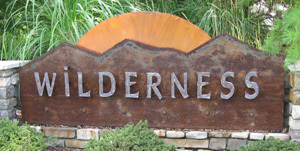 The Wilderness in Overland Park KS is an outstanding choice. I-435 & Antioch, South on Antioch to 156th Street. West on 156th to Eby. Go to the Clubhouse.